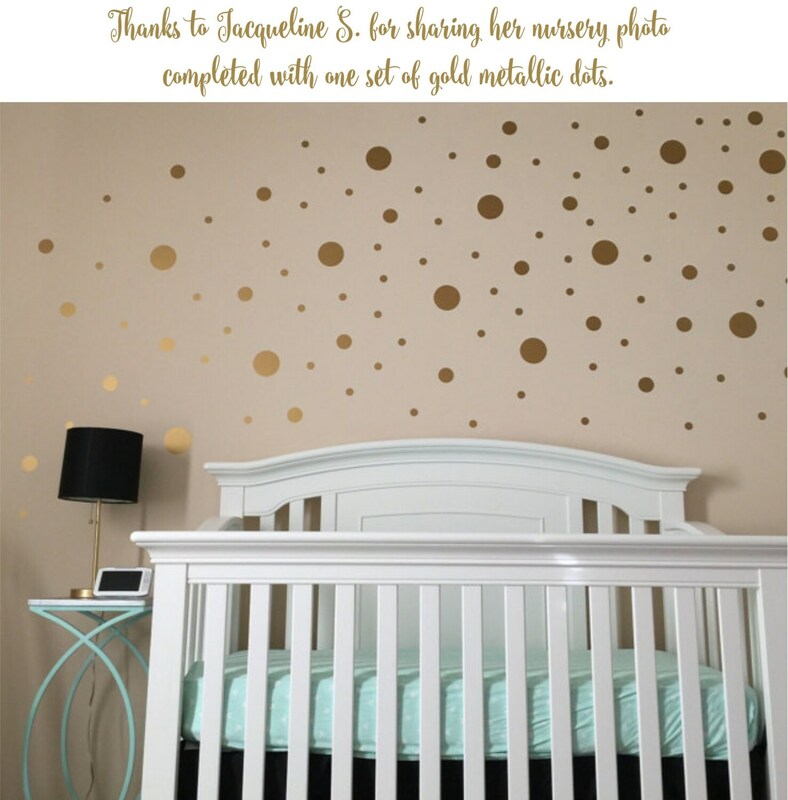 Gold polka dot walls are everywhere. 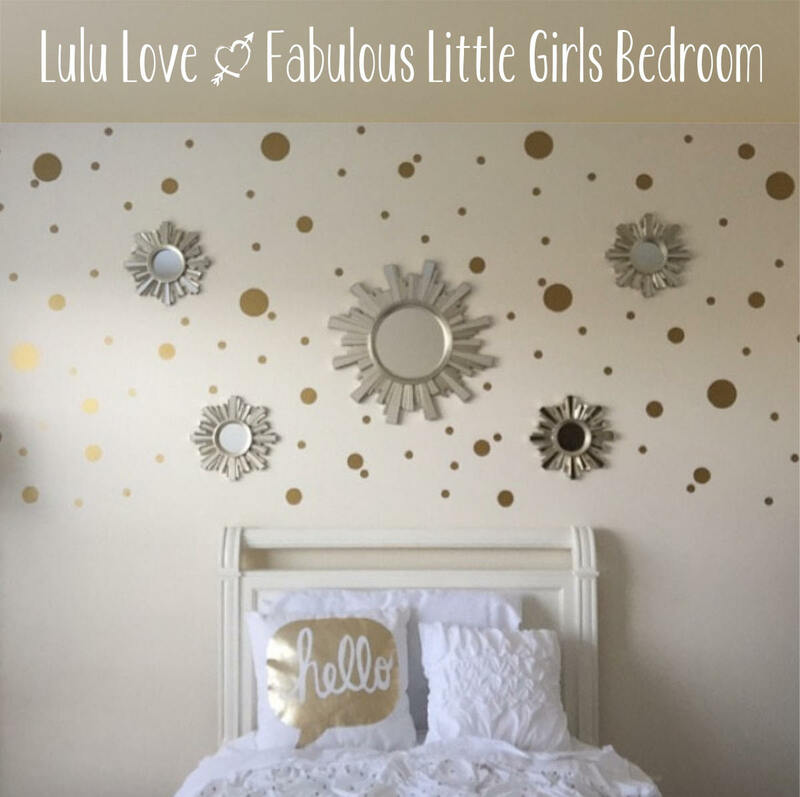 Scattered Dots are a super trendy designer wall style that is so easy to create with peel and stick vinyl decals. 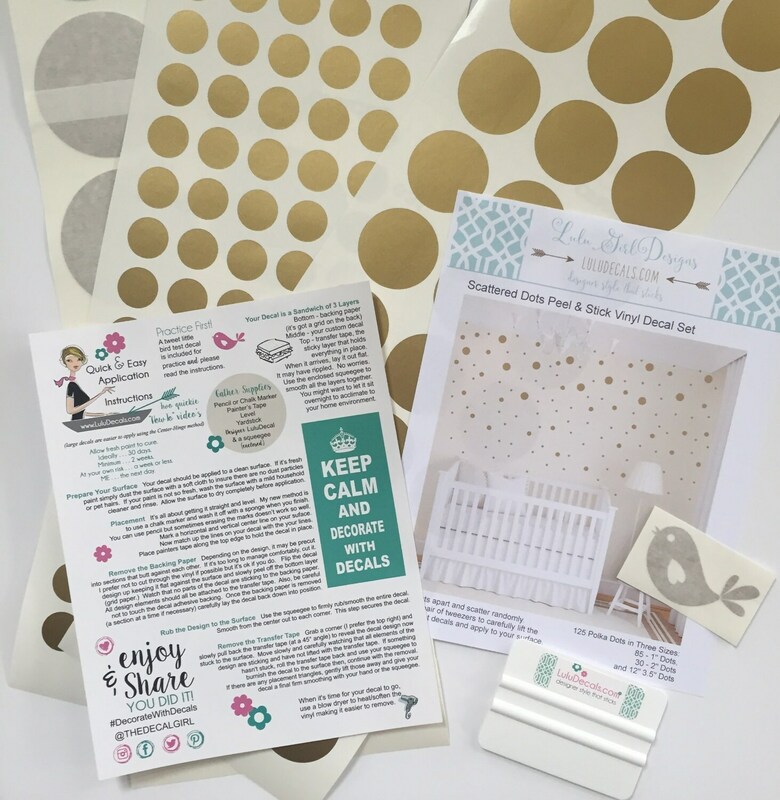 The wall decal package includes over 125 stick on polka dots in three sizes one-inch, two-inch and 3 1/2-inch. The wall shown is 9 ft. x 10 ft. wide and was completed using one package of randomly scattered dots. 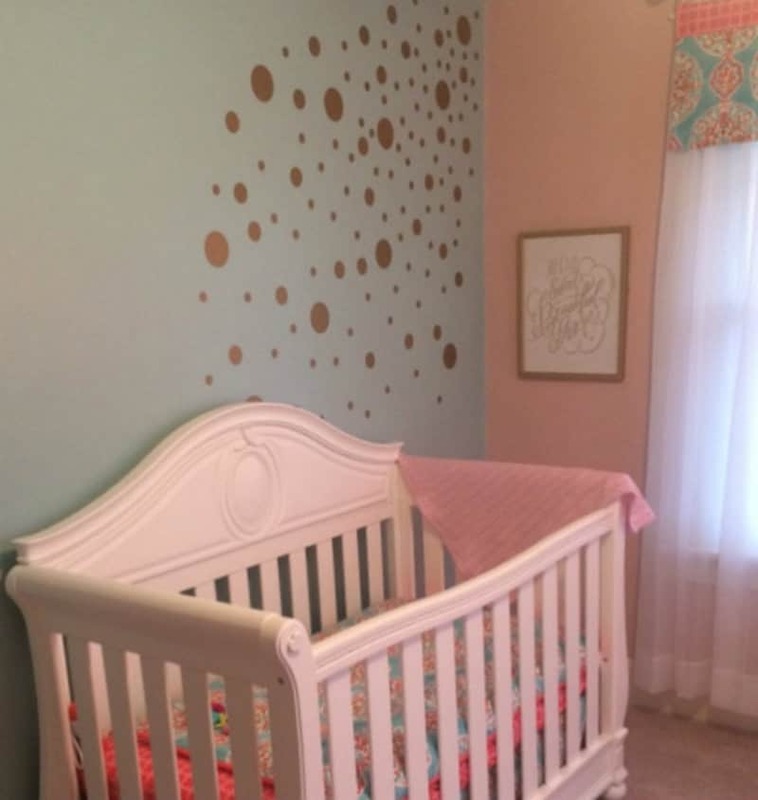 Thanks to Jaqueline S. for sharing her nursery pic. She purchased one pack of decals. Also included is a squeegee application tool, at least one tweet little bird test decal and easy to follow instructions. Every decal is made of commercial grade museum quality matte vinyl which looks like paint once applied to the wall or surface. Decals are removable but not reusable. I've added a HALF PACK OPTION to allow for multiple colors. Let's say you want three colors of polka dots. 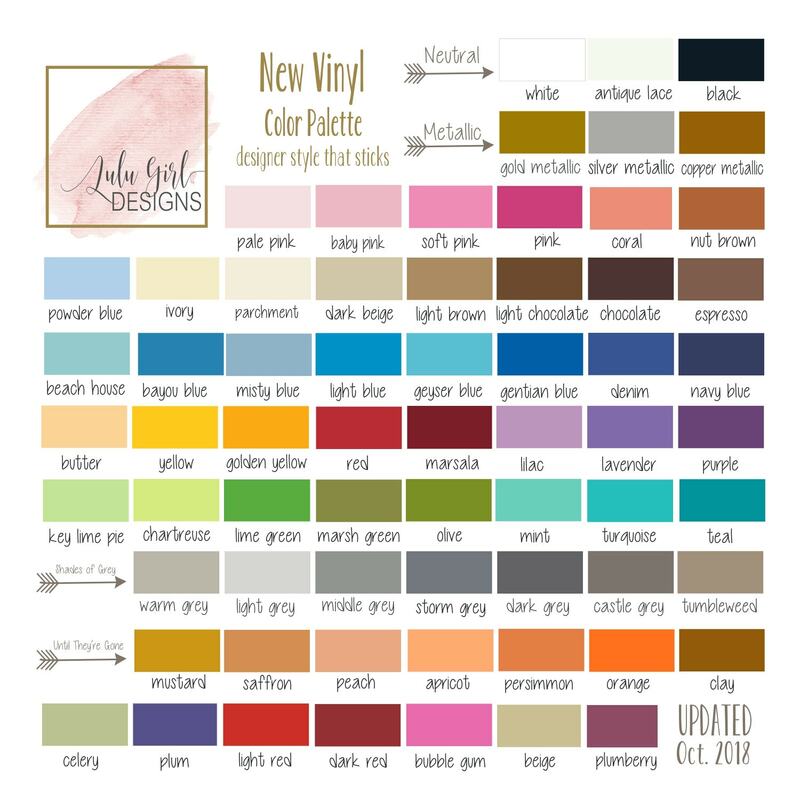 Order One Set Two Colors and a Half Pack and select three colors in the Note to Seller box at checkout.